Colorado Food Systems Advisory Council (COFSAC): The mission of this council is to advance recommendations that strengthen healthy food access for all Coloradans through Colorado agriculture and local food systems and economies. House Bill 17-1192 provides COFSAC with a staff person to coordinate between government agencies and serve as a liaison to producers and the public- making it easier for Colorado producers to sell their produce directly to low-income Coloradans through farmers’ markets, farm stands and other direct retailers. It will also simplify the process for producers to partner with their local school districts in Farm to School (FtS) programs, putting fresh, locally grown fruits and vegetables in school meals. Read more about our bill. Transportation Funding: LiveWell Colorado is currently working with a diverse statewide coalition, including health, environmental, and transit-focused advocacy groups to ensure that a potential statewide ballot initiative to raise funds for transportation infrastructure includes funding to support pedestrian and bike In its current form, House Bill 17-1242 includes a Multimodal Options Transportation Fund specifically to fund transit, pedestrian and bicycle infrastructure. This is a good start but we need your help to ensure walking, biking and mobility remain a part of the conversation. Sign up for our action alerts here. Every Student Succeeds Act (ESSA): This federal package is the nation’s primary source of school policy. The current iteration of this bill provides federal funding for schools to provide programs for “well rounded” education, including physical education and the arts. While this is a federal bill, states have control over program prioritization and whether to seek additional federal funding. LiveWell Colorado relies on grassroots advocates to let policy makers know that Coloradans value the health of their communities. Sign up to receive our action alerts and see the issues you can take action on here. There are many ways you can get involved with LiveWell’s policy work. 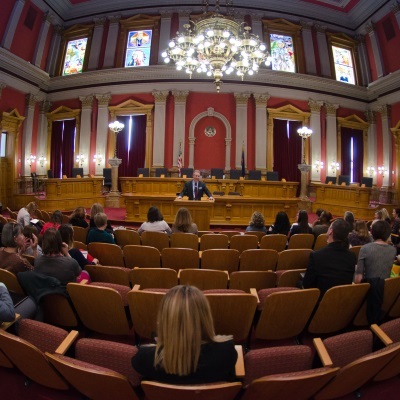 Learn about our topical policy committees, the HEAL Network, the Colorado Food Policy Network, the policy update and action alert lists, and how you can advocate for a healthier Colorado. These are the bills LiveWell Colorado is monitoring and/or engaging on during this legislative session.